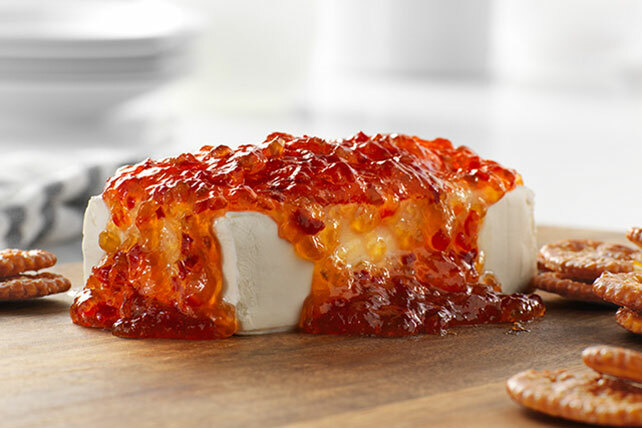 Make this 5-minute Easy Red Pepper Jelly Spread appetizer and enjoy a bold kick of flavor. This red pepper jelly spread goes well with crackers, bread and so much more. Serve it at your next event, today! Prepare with PHILADELPHIA Neufchatel Cheese. Prepare as directed, sprinkling cream cheese with 2 Tbsp. chopped PLANTERS Pecans before topping with jelly.